Improving literacy in America by helping people of all ages learn to enjoy reading and writing, and motivating at-risk teens to stay in school and pursue their dreams! 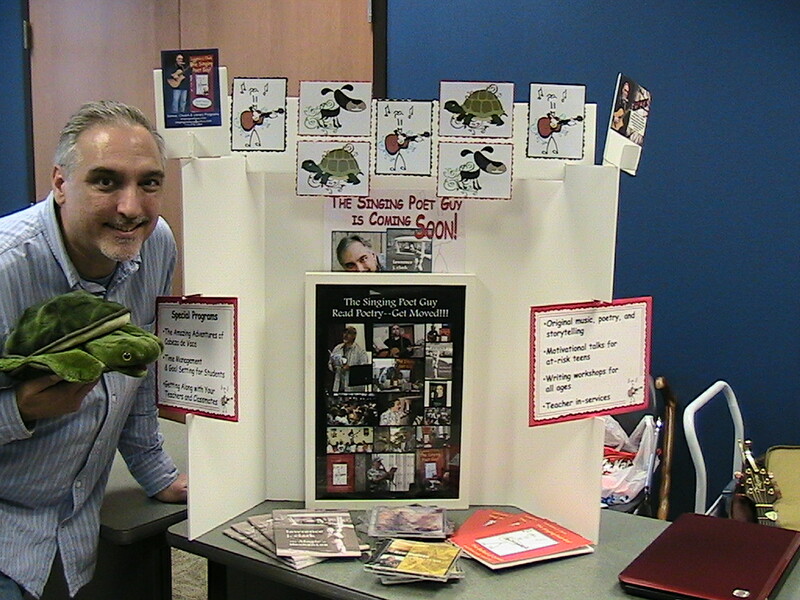 Had a great time at the Central Texas Library System showcase! It was great seeing many of my speaker/performer and librarian friends at the Central Texas Library System showcase in Georgetown! Around 20 people got to do showcases, and I received some great feedback on my educational school and library programs and writing workshops that entertain kids and teens and help promote literacy. Pingback: Thanks for Stopping By! | Lawrence J. Clark: The Singing Poet Guy!